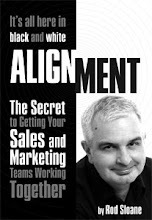 Sales and Marketing Alignment Blog from Rod Sloane: What Tony Blackburn can teach you about Modern Marketing. What Tony Blackburn can teach you about Modern Marketing. Ever since I first started to listening to pop radio in the UK, Tony Blackburn ruled the airwaves, from being the first voice on Radio 1 to hosting Top of the Pops. Blackburn was every where. Then his popularity waned and he seemed a little cheesy and plastic. However he's still broadcasting in London on Smooth Radio and Radio London. Tony uses Audio Boo a simple iPhone audio blogging tool to communicate with his listeners. He lets you know when he's appearing on the radio. You can Boo, those in the know just call it a Boo, Tony and he will mention you on the radio. Think of it like an audio email. You simply make a recording on your iPhone and send/ publish it to the Audio Boo web site. It take s minutes. No audio editing. You just add a picture and a simple title. You can then use twitter & facebook to let the world know. It's a great way to review a book or movie. Simple way to promote your event. You might just to want to talk with Tony Popfantastic Blackburn. Do you have the bottle to Be Different? What's your big provocative idea, Sparky? Why should I believe anything you say? What Overt Benefit does your business deliver?